From improving your credit score to getting a mortgage in principle, here are some of the ways you can boost your chances of getting the loan for your first home. Getting the funds together for a deposit is one thing, but actually getting approved for a mortgage is another. More than 76 percent of first-time buyers applied for a mortgage in the first quarter of 2018, up from just 48 percent two years before, according to Mortgage Lenders Association. An empty application will be rejected which will damage your credit score and set you back months. Jacqueline Dewey from credit report service Noddle says there's more to it than just having a steady salary and a deposit. There's your credit score for one thing, but also you'll need the extra funds to pay for stamp duty, solicitors fees and a broker. "Mortgage lenders want to see that you have a history of being able to manage credit and pay it back on time," she says. "While you can’t change anything that has already happened, you can ensure that your financial behavior going forward makes you an attractive prospect for a mortgage." It's all well and good spending hours searching on Rightmove for your dream home, but it's a waste of time if the places you're looking at are way out of your price range. Lenders reject unrealistic mortgage applications and that, in turn, will damage your credit score and make you worse off. The most you'll be able to borrow is four and a half times your yearly salary, which will give you some idea of your budget. You’ll need to put at least 5 percent of the property value as a down payment unless you're boosting your savings with help from a scheme. For those who are serious about owning a home, there are schemes out there that will boost your savings if you spend it on buying property. The government has certain programs for first-time buyers, but always read the small print to avoid extra costs or high interest rates. If you've got a bad credit history then you're going to be rejected for a mortgage, which will only make your score worse. Before you apply make sure you've got a healthy reading. You can carry out a soft credit check on yourself with one of the three main credit referencing agencies, Experian, Equifax, and Call credit. The earlier you check, the more time you'll have to fix it if it's not looking great. While it's not impossible for you to get a mortgage with a poor credit score, you'll be paying over the odds in interest. You're better off holding out for a few months while you try to improve it. One way is to continue to use small amounts of credit, like on a credit card or your phone contract. It might sound a bit backward but using small amounts of credit and paying it off in good time shows lenders that you are responsible with credit. Pay off big debts because a mortgage lender may think that you won't be able to take on more credit, as you might not be able to meet the repayments. Getting on the electoral register, canceling old cards and never missing a payment will also help your score. You'll need to provide evidence of the deposit for the affordability checks. They'll want to know how regularly you've been able to save and how much, including at least three months worth of bank statements. Your documents will need to be up-to-date so make sure that the address on your driver's license matches up with the one on the electoral register. If you've been given part of the deposit as a gift, you'll need to make sure you've got a letter from the donor. Be aware that if your parents have lent you the money and you're going to pay them back then the bank will treat this as a loan. This is an agreement in theory that the lender will give you a set amount, which makes you a more attractive buyer. You'll still need to actually secure the money and the bank will also have to take into consideration any financial changes. They'll also need to know more about the specific property you want to buy, which can also impact your application. 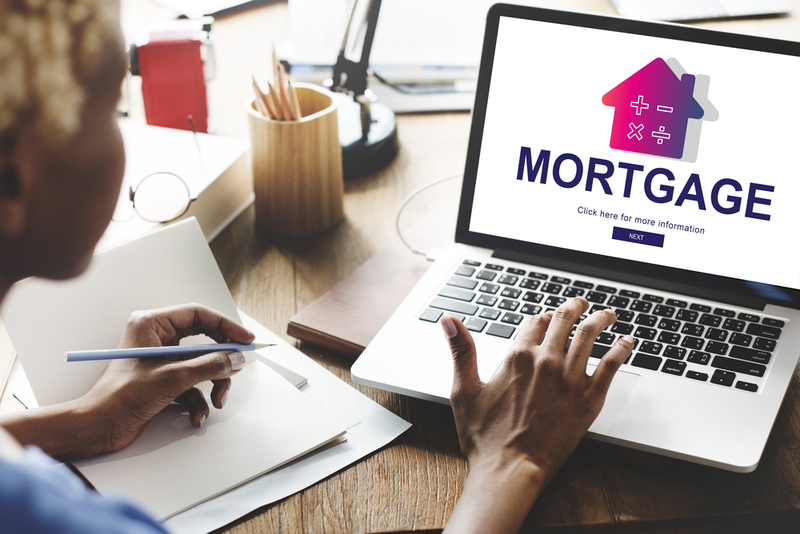 More than a third of all first-time buyers go directly to a bank or building society for their first mortgage, according to Trussle, but doing so could severely limit your options. A broker will be able to review a wider range of products and advise you on the right one for your circumstances, as well as assess any hidden costs which can sometimes be difficult to find. Remember though, they'll take a fee for their services so you'll need to factor that into your costs. Digital mortgage brokers like Trussle and Habito are free to use though because they take a cut from the lender, not the borrower. They use sophisticated algorithms to scan thousands of products from over a range of lenders to find the right deal for you, quickly and without charging a fee. The more money you have, the less money you'll need to borrow and the more attractive you are to a lender. This is because the loan to value ration is smaller and makes you less of a risk to lenders. So if you've managed to save more money than expected, stick to your budget rather than taking out a bigger mortgage. Also, taking time to save for longer will give you time to repair your credit rating and improve your financial footprint.